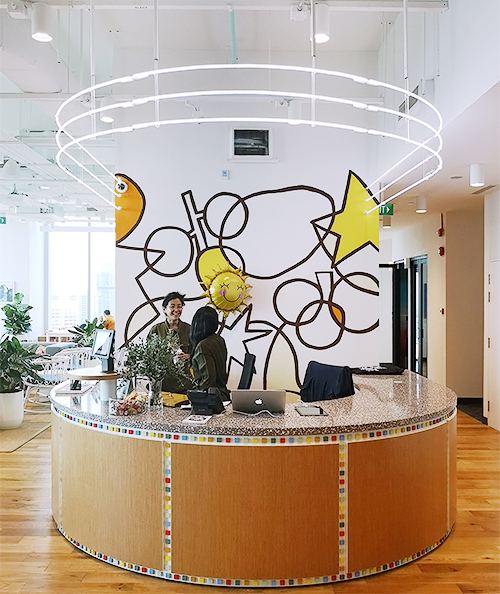 WeWork Singapore’s 10th coworking space opened on 5 March 2019 at 380 Jalan Besar. 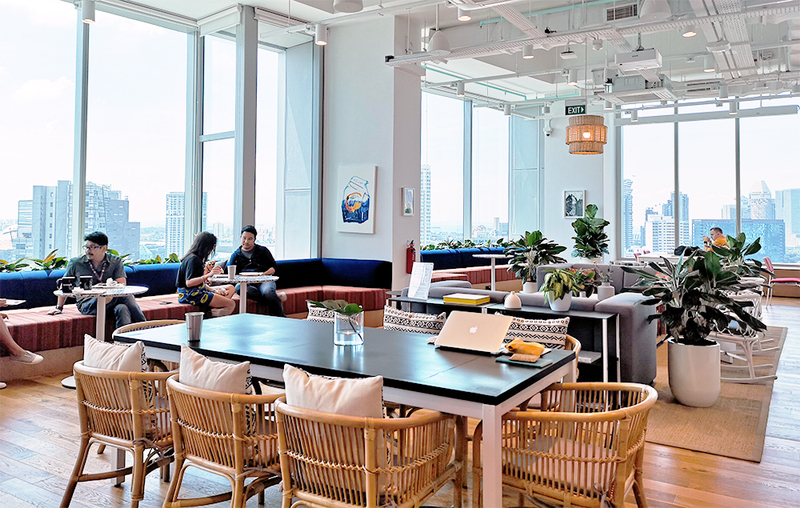 The space is WeWork’s first one out of the CBD, and currently its smallest in Singapore, outfitted to suit the needs of small companies and startups. 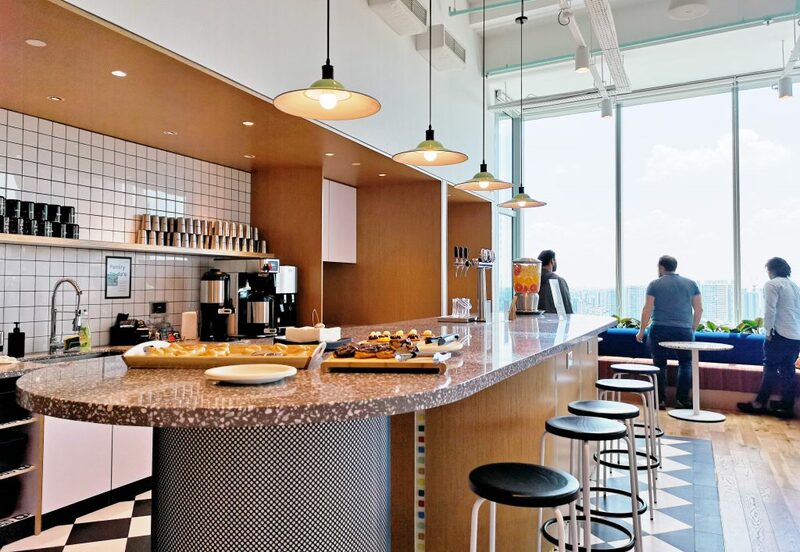 It includes a mix of shared and private working areas, vibrant meeting rooms, cool pantry perks like beer on tap, and is the first WeWork space to have a swimming pool. 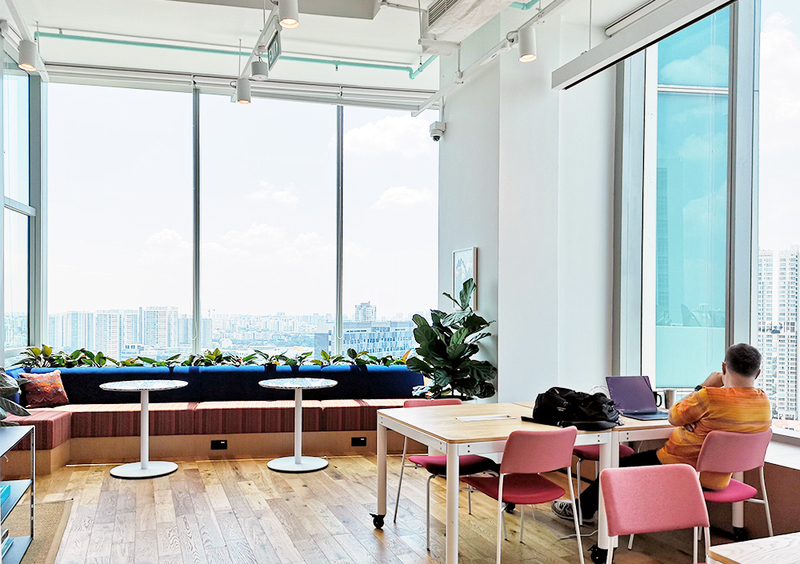 Global coworking company WeWork recently opened its newest space in Singapore, a cosy location at Arc 380, 380 Jalan Besar. 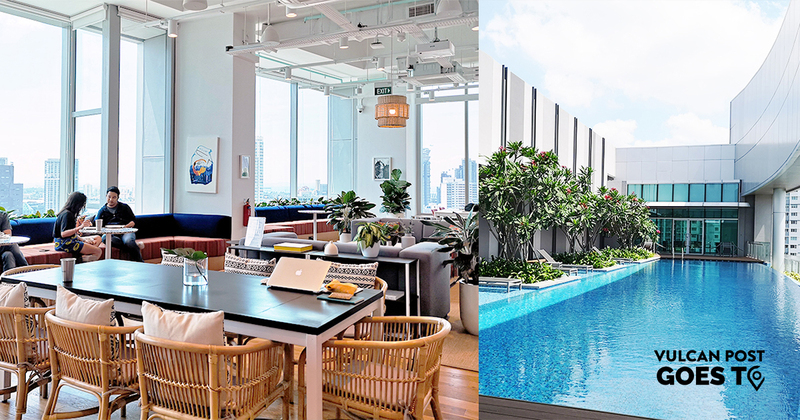 With this addition just opened on 5 March 2019, they now have a total of 10 shared office spaces around the country, since launching in Singapore in December 2017. 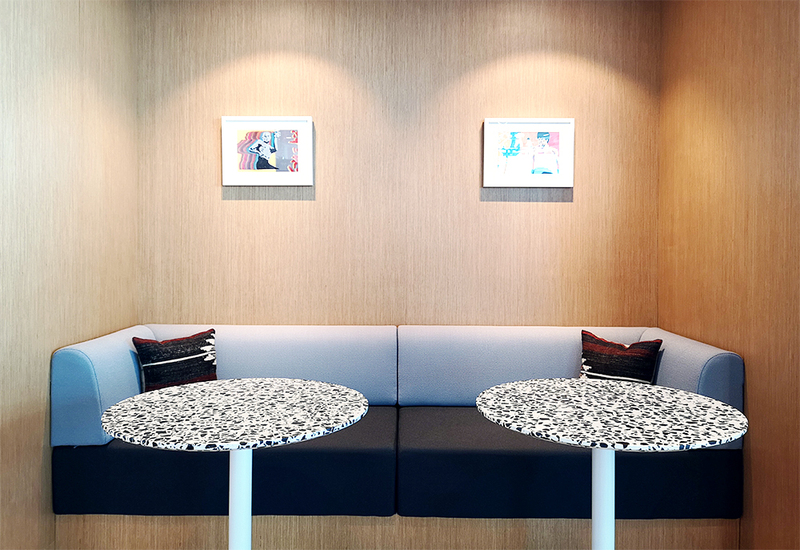 The Jalan Besar coworking space is its first outside of the Central Business District, and can host over 380 members. 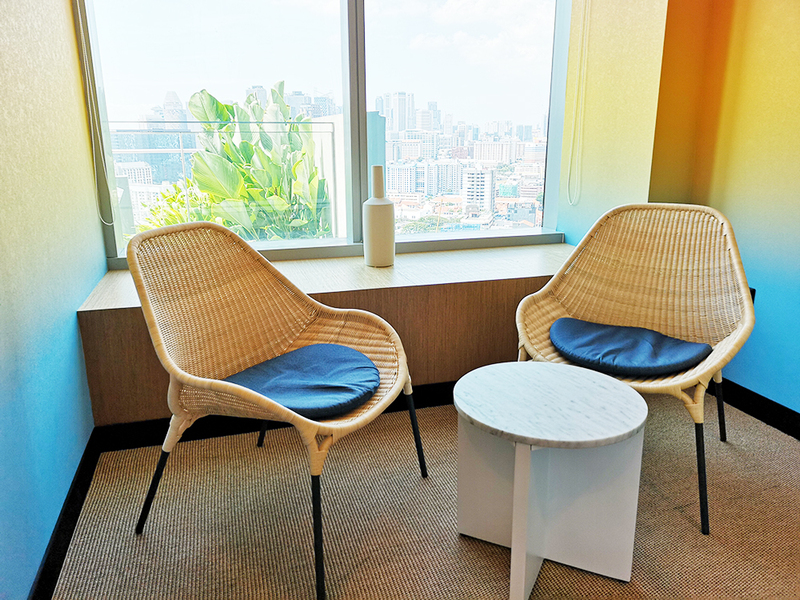 Although it may be the smallest of WeWork’s properties here—quaint compared to its three-storey flagship at 71 Robinson Road with 1,400 seats—it’s well suited to cater to younger companies and startups, with features that make the space conducive and creative to work (and chill) at. 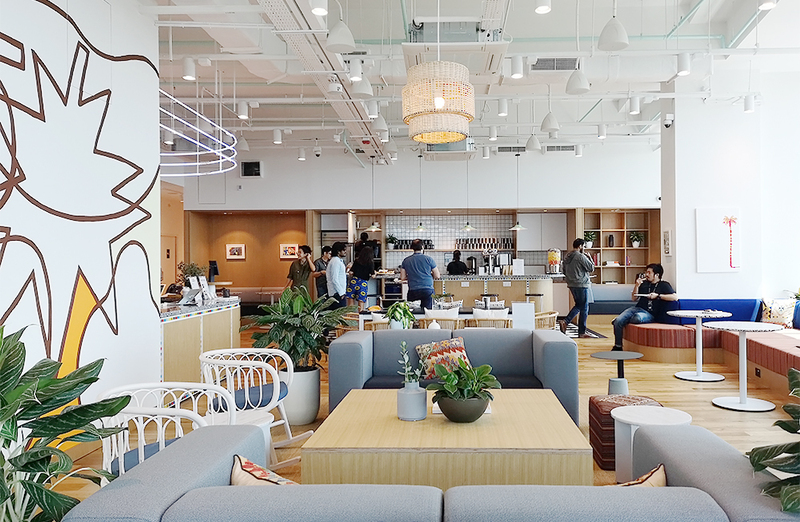 Being its first space on the city’s fringes, WeWork says its decor is “influenced by Jalan Besar’s rich history” and pays “homage to the Southeast Asian culture in this region”. The common area, outfitted with rattan chairs and a mural of abstract fruit shapes, reflects a more laid back vibe outside the bustle of the city, and remembers Jalan Besar’s past as a fruit orchard. 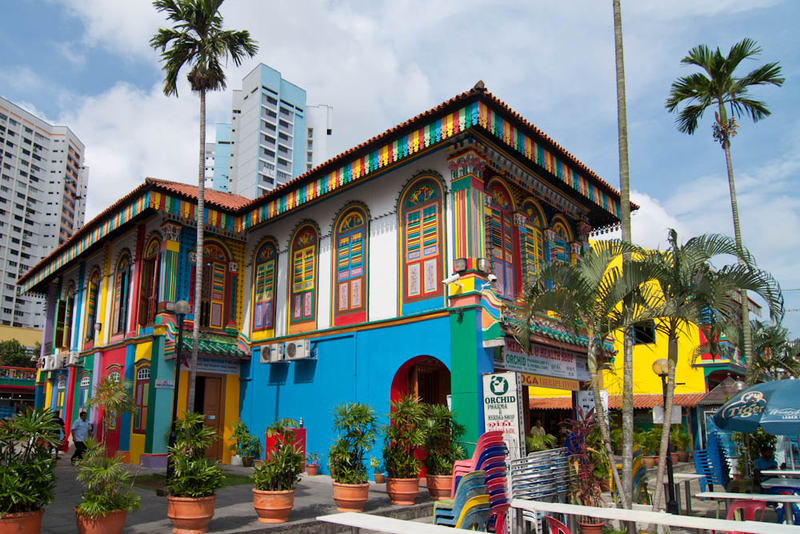 Subtle features like colourful acrylic tiles adorning its community bar, take inspiration from landmarks in the vicinity. In the spirit of promoting community and sharing, WeWork provides plenty of seats in common areas where members can choose any spot and get down to work. Floor-to-ceiling windows let natural light in, and its ‘living room’ setting aims to humanise the way we approach working. 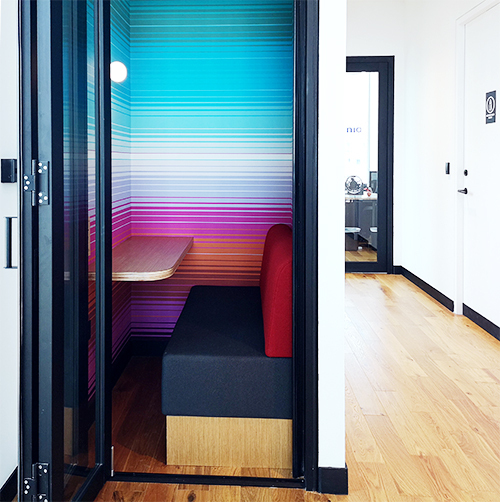 But since not everyone thrives in open environments, options for privacy are thankfully available, such as isolated booths made for just one occupant at a time. 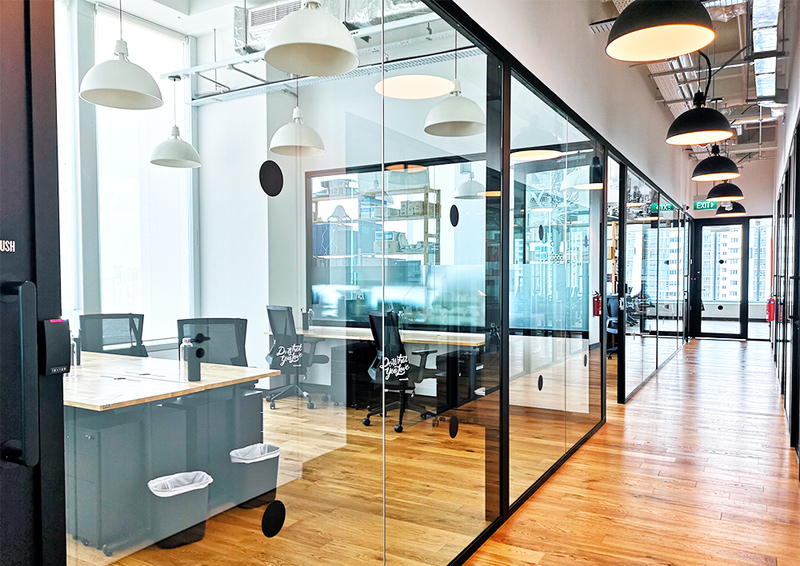 WeWork offers different tiers of monthly membership at its spaces, which allows guests to choose from hot desking, having a dedicated desk, or renting a private office space. At 380 Jalan Besar, a hot desk is priced at $450 per month, while private offices start at $1,710 per month. 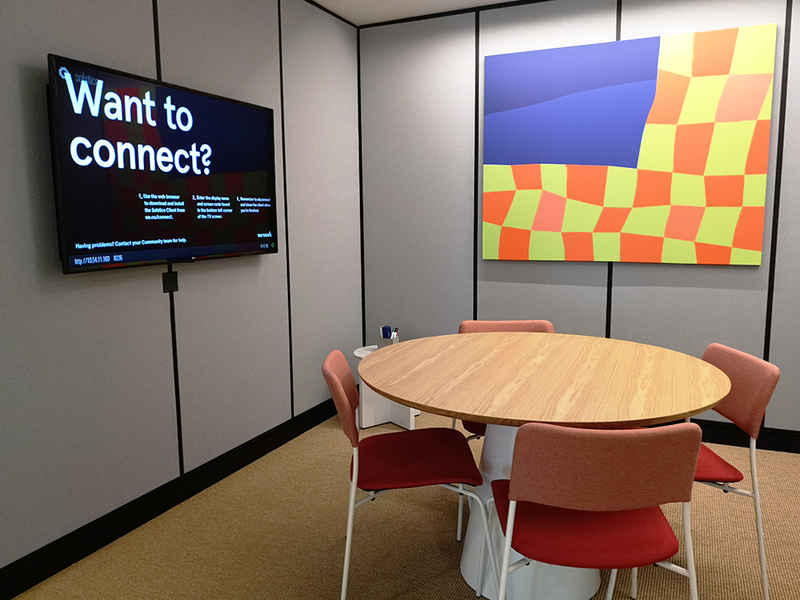 Members can also book conference rooms, or smaller rooms for casual chats, when a quick discussion or team meeting is in order. 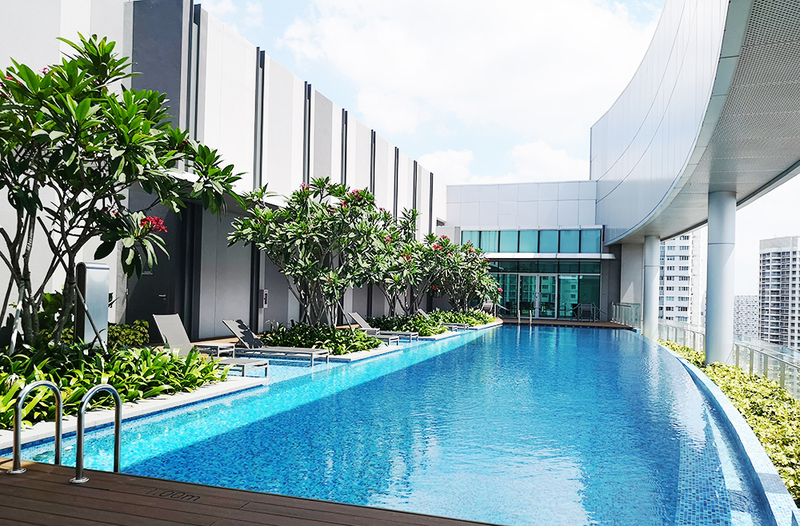 “WeWork 380 Jalan Besar is the first location to boast a sky terrace with a swimming pool”, the firm says. 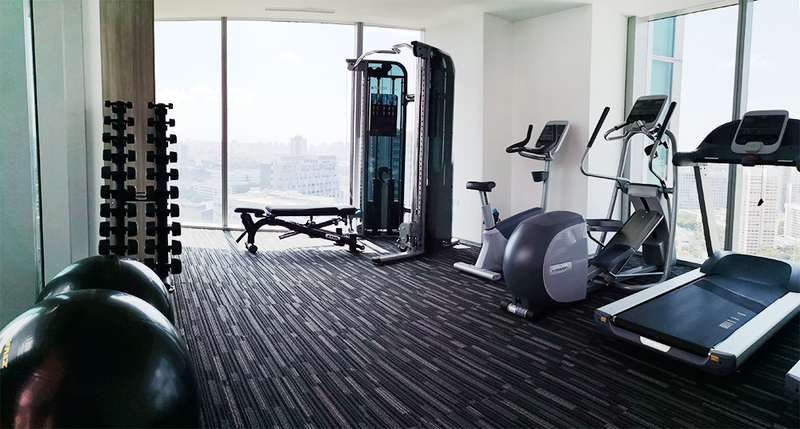 Members have access to these facilities located on a separate level within the building, including a simple gym with a few equipment. 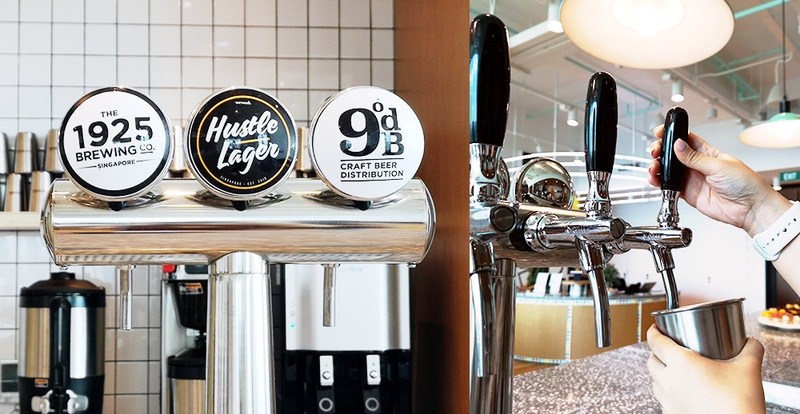 Knowing that food wins hearts in Singapore and around the world, WeWork has fitted its pantry with a steady flow of fresh fruit water, “micro-roasted coffee”, and even beer on tap. Sometimes, the Community Managers of the space organise surprise treats like pastries or desserts—a simple pleasure that makes the working day a little sweeter. 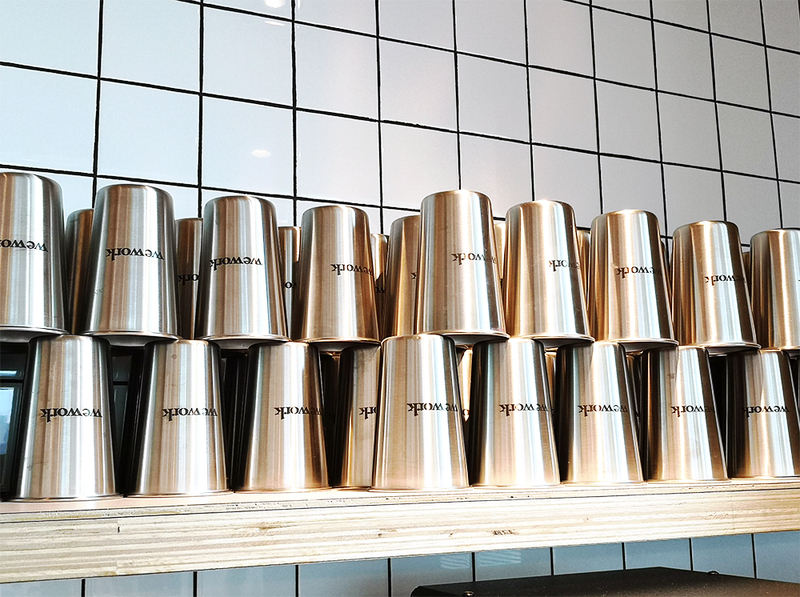 Beyond the interaction members may engage in by themselves through the time spent in shared spaces, WeWork regularly offers activities such as events or workshops to help members network while learning something useful. 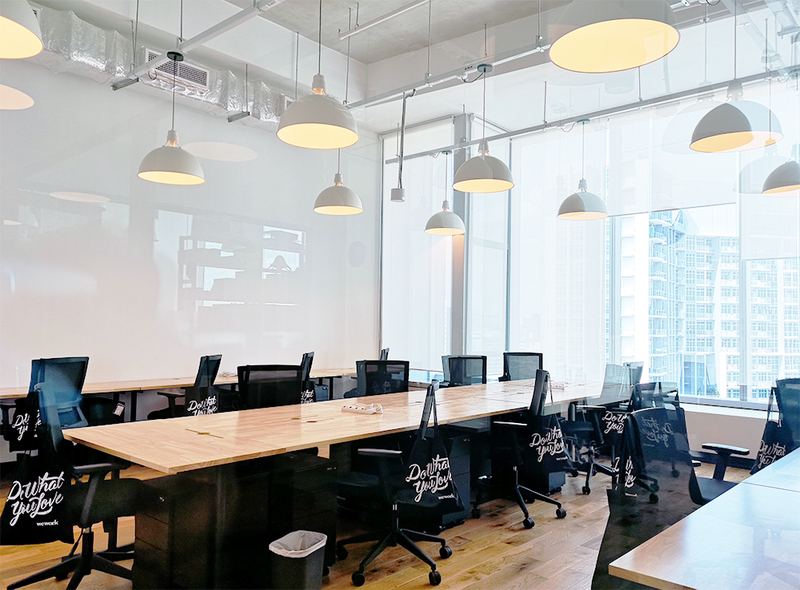 This coworking space at Jalan Besar is also home to the second WeWork Labs in Singapore, the company’s in-house early-stage startup programme that gives new founders access to incubator resources. 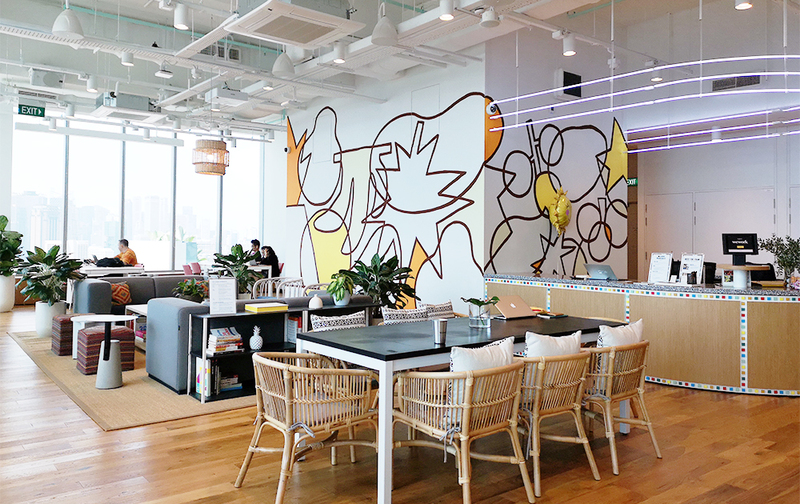 Coming up next, WeWork is set to open its 11th space at Funan, 109 North Bridge Road, in the second quarter of 2019—it’ll also be the company’s second flagship here. 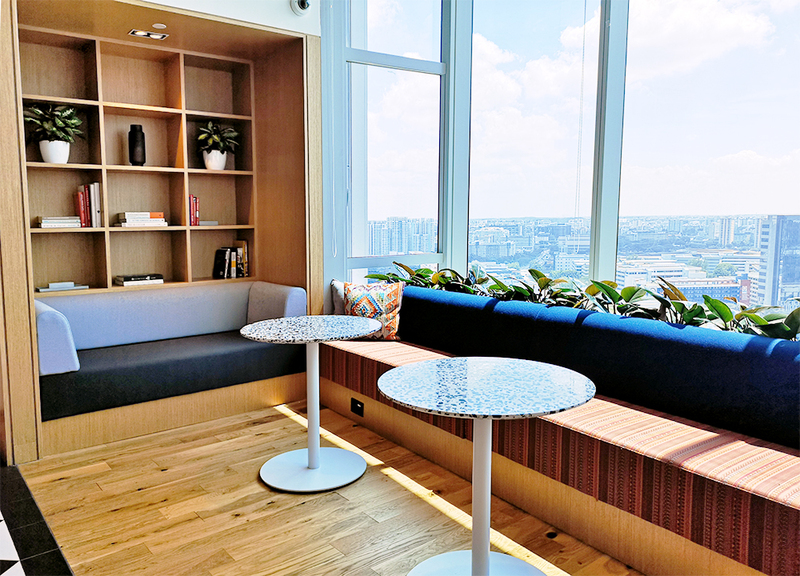 “Singapore is at the epicentre of a high growth region with ambitious and capable startups and enterprises hungry for success,” says WeWork Southeast Asia Managing Director, Turochas Fuad.